Least turned back for home this morning so I'm off with myself to Streaky Bay. 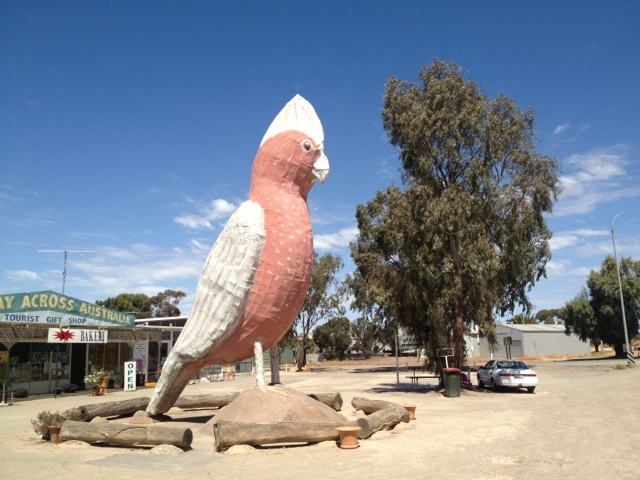 First stop Kimba to snap the Big Galah and have a stretch. 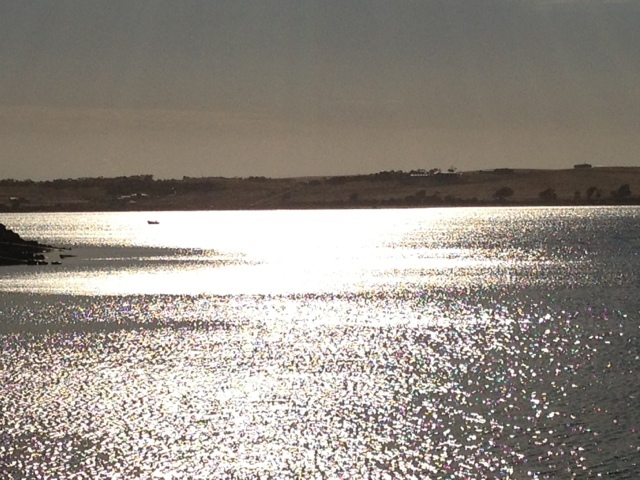 Then along the Eyre hwy until the streaky bay turn off. 36deg a strong Nthly cross wind made for trick riding. Experienced my fist road trains and am now adept at the swerving due to their suction as the pass in the opposite direction. They're only baby ones (ie 2 trailers) but big enough to practice on. 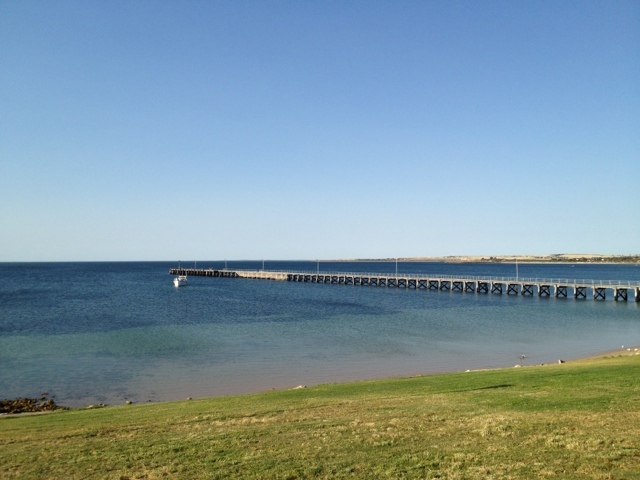 Arrived at streaky bay around 3:30. What a top place. Sleepy beautiful town with a long jetty poking into the bay. May stay another day.